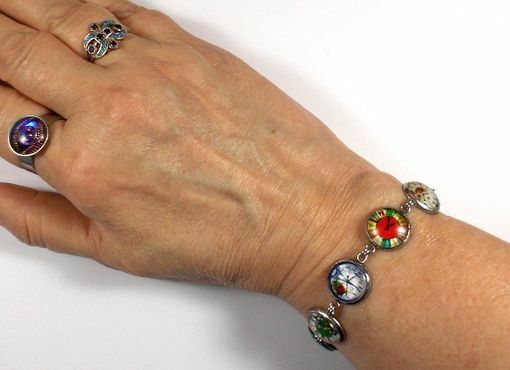 Eight photo bracelet makes a great gift for grandmas! You can select your favorite places, flowers, people or animals. Substitute photos can be added (such as butterflies, clocks or flowers) if you don't have 8 photos. Stainless Steel jewelry will last! Won't turn your skin green. Won't tarnish, fade or peel. It is hypoallergenic (non-irritating) for most people. 7-inch bracelet with a 2-inch extender chain. 8 glass photo cabochons 12mm each. Optical grade glass cabochon magnifies and enhances the artwork. 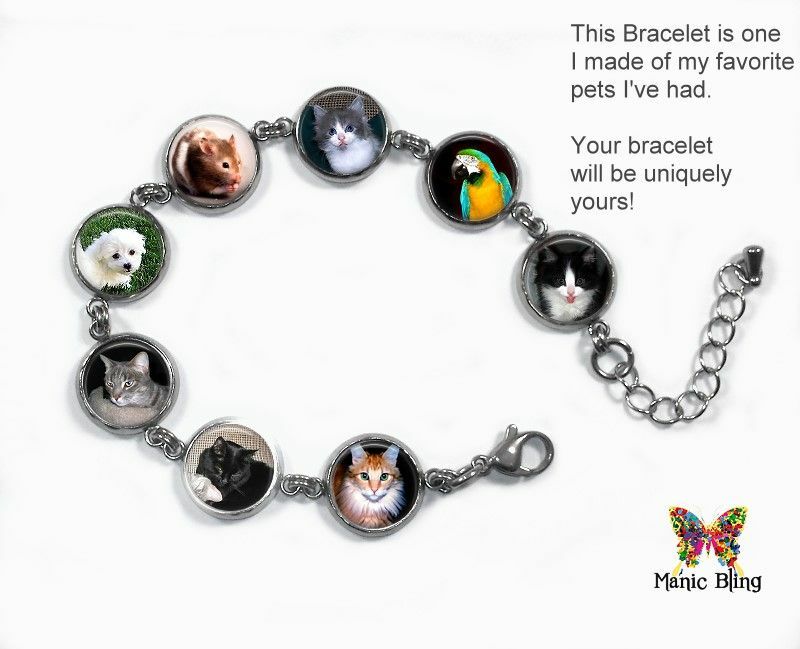 This is a bracelet you can put on and leave on all the time! Your bracelet will be awesomely clear and bright. Your purchase will come in a Manic Bling gift box, ready for giving!